What is Organic Silicon ? Where in the diet do we find silicon ? 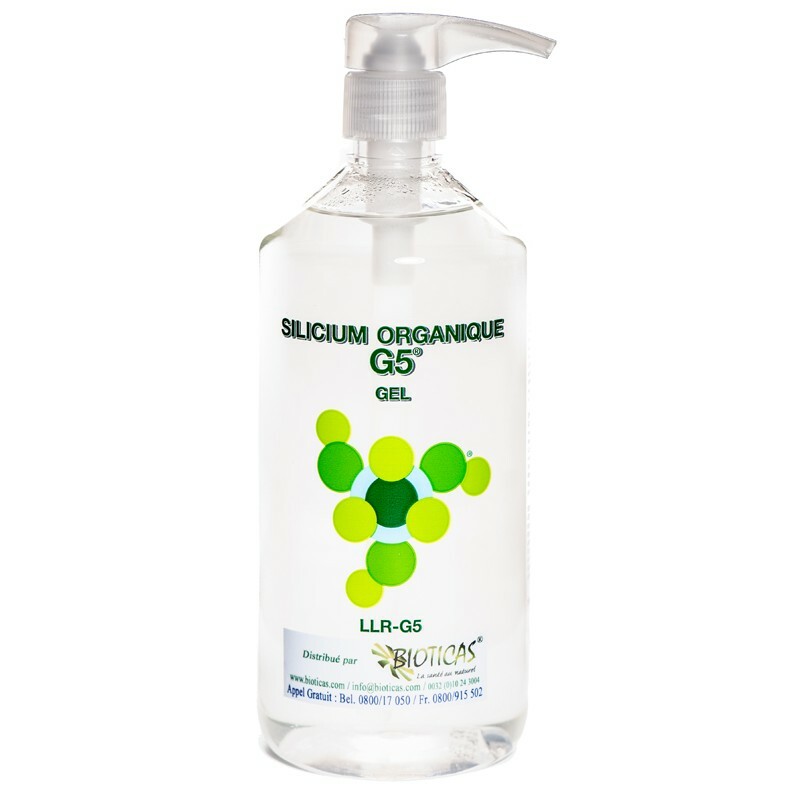 The gel G5 750ml is especially useful for skin problems with its cell regeneration quality that stimulates skin elasticity and structure. G5 gel is hypoallergenic. Its high penetration capacity is widely recognised by physiotherapists, osteopaths, kinesiologists and dermatologists. It also has many aesthetic uses. 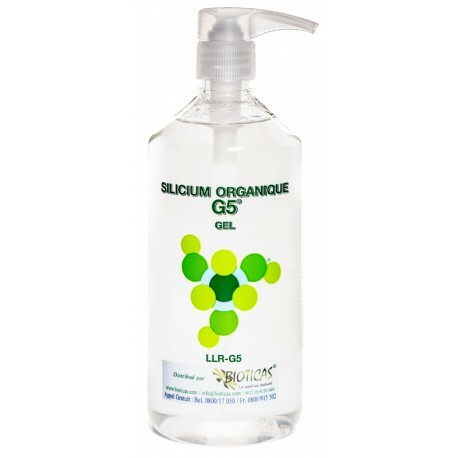 Instructions for use: apply G5 gel to the affected areas 3 to 4 times per day or more if necessary. For optimal effectiveness apply regularly. Ensure the skin is clean prior to application. Spread a thin layer of gel on the skin and then massage lightly until complete penetration of the product.